Jane Jacobs, a journalist and writer, successfully led grassroots opposition to a massive urban renewal project in the 1950s and 1960s that would have destroyed several residential neighborhoods in lower Manhattan. She endured scorn from establishment figures because of her lack of formal training as an urban planner, and moved to Canada in 1968. There she continued her work and writing on urbanism, economies and social issues. Her most influential book was The Death and Life of Great American Cities, published in 1961. Jane Jacobs is currently considered a "single author." If one or more works are by a distinct, homonymous authors, go ahead and split the author. 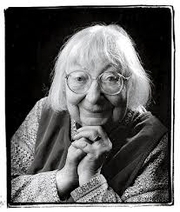 Jane Jacobs is composed of 7 names. You can examine and separate out names.